As we work to improve health care, boundaries between sectors and disciplines are disappearing. In this rapidly changing environment, epidemiology consulting firms bring value, fostering collaboration to develop knowledge and scientific solutions. 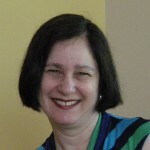 Tamar Lasky, PhD, an epidemiologist with more than 25 years of cross-cutting experience in academia, government and industry, has designed research studies, developed surveys and study instruments, and conducted statistical analyses of large databases such as Medicaid, HCUP, and Premier, Inc. She has written numerous peer-reviewed scientific publications, as well as textbooks and scientific books, and educational materials. She is a Fellow of the International Society for Pharmacoepidemiology (FISPE), and Founding Co-chair of its Pediatric Special Interest Group. Most of us in public health chose our careers so that we could help make the world a better place. We believe in using knowledge and information to improve health and well being.